The series of W.D.s flow continues into April. With the approach of the latest W.D. by the 2nd. the hills of Kashmir/HP will get renewed rains and the rain belt should spread eastwards into the eastern Himalayas the next day. This is having an unusual effect on the plains and the central Indian regions. With the moving of the W.D. east, 2 high pressure areas have been created on either side of the Indian peninsula. This is causing strong winds to blow southwards, thus preventing the normal sea breeze along the west coast, and resulting in the central regions of India getting over heated . The map shows a very hot "tongue " of above normal temperatures in the region (with Nagpur at 42c today), and a clear north-south divide, with the north still in the "normal" range. Akola was 41.5c today, with several 40s seen in the region. On their approach, the systems are causing unusually heavy, and continuous rains in the U.A.E. 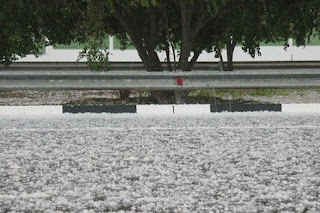 Dubai had a heavy hailstorm last week, and the temperatures have dropped from 38c, last week, to 28c. Muscat, too has been recieving fairly good amounts of rain, and can expect to get precipitations till the middle of this week. 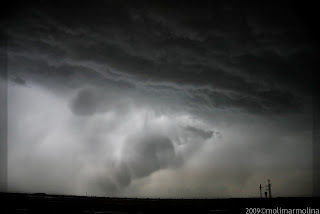 The nimbus cloud pic shows the intensity of the storm, and the extent of hails in Dubai. Still too early to estimate the effects of these systems on the monsoon. 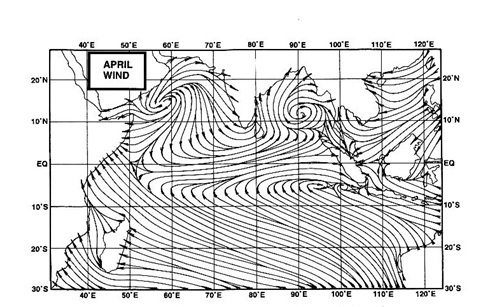 Normally, the W.D.s, should reduce from April, and reorganise the wind pattern to the normal April winds. But , excessive heat at this time in the Maharashtra / Gujarat areas may create sporadic thunderstorms in the 2/3 week of April. This may cool down the land mass, and could delay the starting of the "low pressure" formations. But, again, its too early to decide or conclude things yet. I think, it would be appropiate to start the "Monsoon Watch" from my next blog on the 3rd.